Do I need to wash any of the produce? Wash your cutting boards, dishes, utensils, and countertops with hot soapy water after preparing each food item. Separate raw meat, poultry, seafood, and eggs from other foods in your storage and refrigerator. Don’t reuse marinades used on raw foods. Use an appliance thermometer to be sure the refrigerated temperature is consistently 40° F or below and the freezer temperature is 0° F or below. 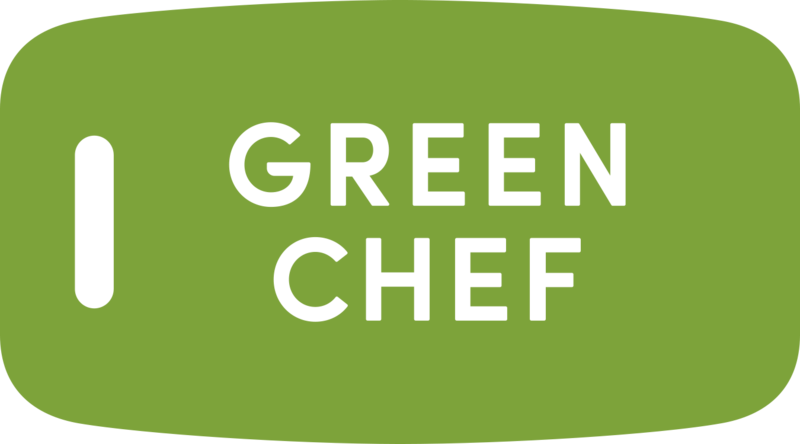 Refrigerate or freeze meat, poultry, eggs, seafood, and other perishables within 2 hours of cooking and refrigerate these items immediately after unpacking from the Green Chef meal kit box. Never thaw food at room temperature, such as on the countertop. There are three safe ways to defrost food: in the refrigerator, in cold water, and in the microwave. Food thawed in cold water or in the microwave should be cooked immediately. Always refrigerate perishable food right away after opening your meal kit box. Check the temperature of your refrigerator and freezer with an appliance thermometer. The refrigerator should be at 40°F (4.4°C) or below and the freezer at 0 °F (-17.7 °C) or below. Cook or freeze fresh poultry, fish, ground meats, and variety meats within 2 days; other beef, veal, lamb, or pork within 3 to 5 days. Don’t cross-contaminate. Keep raw meat, poultry, fish, and their juices away from other food. After cutting raw meats, wash hands, cutting board, knife, and countertops with hot, soapy water. Sanitize cutting boards by using a solution of 1 teaspoon chlorine bleach in 1 quart of water. Cook all raw beef, pork, lamb and veal steaks, chops, and roasts to a minimum internal temperature of 145°F (62.8°C) as measured with a food thermometer before removing meat from the heat source. For safety and quality, allow meat to rest for at least three minutes before carving or consuming. For reasons of personal preference, consumers may choose to cook meat to higher temperatures. Ground meat: Cook all raw ground beef, pork, lamb, and veal to an internal temperature of 160°F (71.1° C) as measured with a food thermometer. Poultry: Cook all poultry to an internal temperature of 165°F (73.9°C) as measured with a food thermometer. Cold food should be held at 40°F (4.4°C) or colder. Perishable food should not be left out more than 2 hours at room temperature—1 hour when the temperature is above 90°F (32.2°C). Discard any food left out at room temperature for more than 2 hours—1 hour if the temperature was above 90°F (32.2°C). Reheat leftovers to 165°F (73.9°C). Casseroles and other dishes containing eggs should be cooked to 160°F. Use a food thermometer to be sure. For recipes that call for eggs that are raw or undercooked when the dish is served—like Caesar salad dressing and homemade ice cream—use either shell eggs that have been treated to destroy Salmonella, by pasteurization or another approved method, or pasteurized egg products. Serve cooked eggs (such as hard-boiled eggs and fried eggs) and egg-containing foods (such as such as quiches and soufflés) immediately after cooking. Cooked eggs and egg dishes may be refrigerated for serving later but should be thoroughly reheated to 165°F before serving. Never leave cooked eggs or egg dishes out of the refrigerator for more than 2 hours or for more than 1 hour when temperatures are above 90°F. Bacteria that can cause illness grow quickly at warm temperatures (between 40°F and 140°F). Put seafood on ice or in the refrigerator or freezer soon after receiving it. If seafood will be used within 2 days after purchase, store it in the refrigerator. Otherwise, wrap it tightly in plastic, foil, or moisture-proof paper and store it in the freezer. Separate raw seafood from cooked foods. Wash cutting boards, dishes, utensils, and countertops with soap and hot water between the preparation of raw foods, such as seafood, and the preparation of cooked or ready-to-eat foods. Thaw frozen seafood gradually by placing it in the refrigerator overnight. If you have to thaw seafood quickly, either seal it in a plastic bag and immerse it in cold water or—if the food will be cooked immediately thereafter—microwave it on the “defrost” setting and stop the defrost cycle while the fish is still icy but pliable. Clams, Mussels, and Oysters: The shells open during cooking—throw out ones that don’t open. Keep hot seafood hot and cold seafood cold. Always wash your hands before and after handling spicy foods (e.g., jalapeño, cayenne, etc.). Avoid touching your eyes or face after handling spicy foods.